See What People Are Getting Other People ~ Android Forever! Short on ideas for your friends who have...some stuff but not everything? How do you know what's a great gift and what will be returned for an exchange as quickly as humanly possible? What's a hot gift item and what's lame? (Even the word "lame" is lame.) When a wrenching sense of mental vacuity threatens to wash over you like a tsunami (what does that even mean? 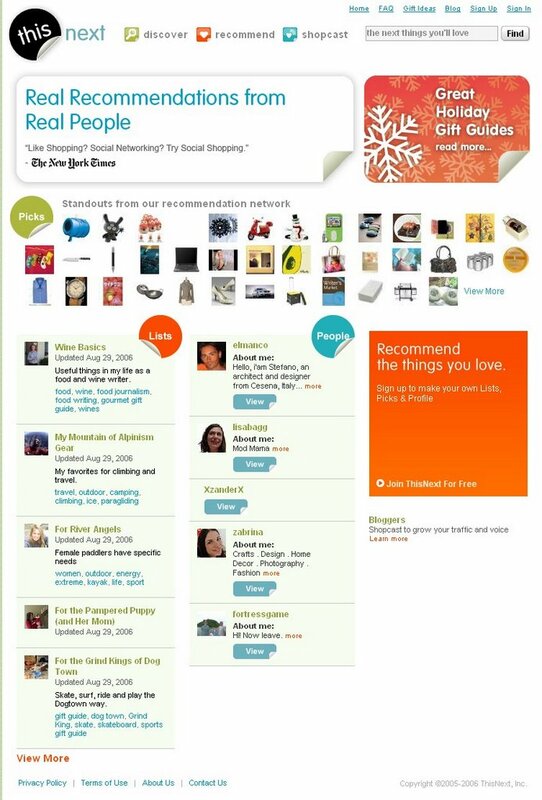 ), you can skip on over to ThisNext, a nice amalgam of social networking and shopping: Social Shopping! Without being around people! The New York Times apparently thinks this is a great idea. How it works is, you can look at what people (other than you) are buying each other. Who knows, maybe you'll find some great gift ideas to fill that mental emptyness that you've been struggling with lately. Please comment on it if you happen to try it. Click here for the web site.